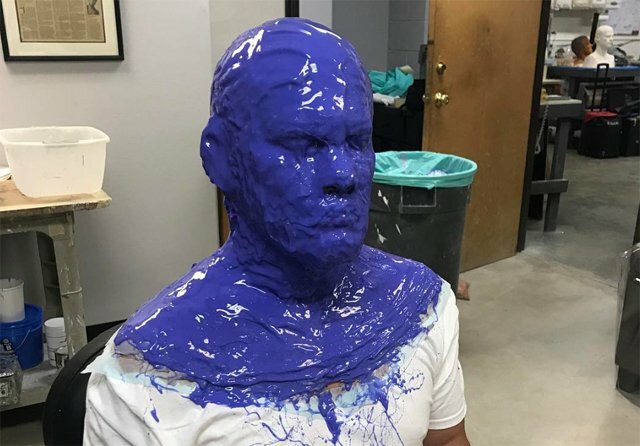 It was recently confirmed that Josh Brolin (Guardians of the Galaxy, Sicario) has been cast as the mutant Cable in 20th Century Fox‘s Deadpool 2, and now the actor (via Instagram) has shared some behind-the-scenes photos of preparing for the prosthetics and facial scarring the role will require. Check out the photos below, along with a drawing made by Cable co-creator Rob Liefeld of Brolin as Cable! Deadpool 2 is set to introduce two key characters from the X-Force world, including Zazie Beetz (Atlanta) as Domino, a luck-manipulating mutant, and Cable (Josh Brolin), the time-traveling son of the X-Men’s Cyclops. It’s also been confirmed that both an X-Force movie and a Deadpool 3 are being planned as separate follow-ups to Deadpool 2, and that Brolin’s deal is for four films. Will Josh Brolin make a cool Cable? Let us know in the comments below!